HURLEY, Beverley Bray, of Tampa, 39 (okay, that was just her favorite age), went to heaven October 8, 2011, to visit her daughter, Debbie, leaving behind her loving husband, David. Also remaining are her children, Kim, Julie (Jason), and Aaron (Emily); and adoring grandchildren, Zach, Kalissa, Mason, Cameron, Brooke and Kian. Her brother, Hank (Dee); and sister, Valerie (Chet); along with nieces and nephews; and daughter-in-law, Elise, were left behind. 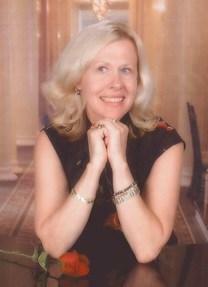 Beverley has been active in the Bereaved Parents of the USA since Debbie's death in 1990. She served six years on the national board, including two years as national president. She has served as the chair of the Tampa Bay Chapter since 2000. No one can count the number of people she has assisted in their darkest hour of need. Beverley was the force behind the development of the Angel of Hope Memorial Garden located in Temple Terrace, Fla. Her tireless efforts over five years to overcome numerous setbacks and disappointments resulted in one of the most beautiful Angel of Hope memorials in the country. Beverley was an active member at New Beginnings Christian Church where she will be missed by everyone, especially the choir. Her smile brightened the room and she always had a kind word for everyone she met. Beverley grew up in Warren, Mich. While she received great joy from her many volunteer efforts and had been a florist and office worker, she received her greatest joy from raising Debbie and Kim and spoiling her grandchildren. Daisy, her Cocker Spaniel will miss her spoiling hand. Beverley and David's song was "Love of a Lifetime" by Firehouse. This song truly described their relationship. Described by her granddaughter, Kalissa: "My Grandma is Awesome!" All who knew her agree. Flowers are welcome or donations may be made to Bereaved Parents of the USA, P.O. Box 3226, Tampa, FL 33601-3226; or Ovacome, the ovarian cancer support group at P.O. Box 173427, Tampa, FL 33672-1427. The viewing will be 6-8 p.m. October 11, at Marsicano-B. Marion Reed-Stowers Funeral Home, 4040 Henderson Boulevard, Tampa, FL 33629. The funeral will take place at 10 a.m. October 12, at New Beginnings Christian Church, 4100 S. Manhattan Avenue, Tampa, FL 33611. Interment will follow at Myrtle Hill Memorial Park.